How Does a Discharge of Bankruptcy Affect My Credit? 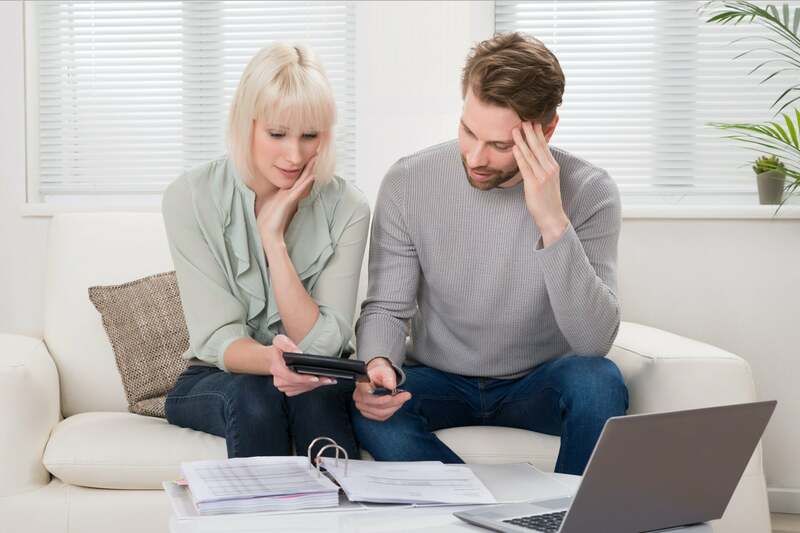 There are a hundred different reasons consumers take the drastic step of declaring bankruptcy: spiraling personal debt, the long-term impacts of a job loss or divorce, or even just to get a fresh start after years of financial issues. While bankruptcy can help put some distance between you and the ghosts of your financial past, the impact on your credit score (and credit history) isn’t always as cut and dry as some consumers may believe. A bankruptcy discharge — which legally releases debtors from debt incurred before filing bankruptcy with the court — does not always result in a complete reset and restart of your credit history. That involves some dedicated work to help build new credit after bankruptcy. A Chapter 7 bankruptcy filing may remain on your credit history for 10 years, while a Chapter 13 bankruptcy filing may be listed on your credit history and credit reports for seven years. Ongoing financial responsibilities such as credit cards balances, medical bills or other debts specifically covered by the discharge will likely report as “included in bankruptcy.” However, any associated history of late payments, heavy utilization or simply having too many active cards and accounts can remain on your account. Items included in bankruptcy that were associated with the discharge will likely continue to appear on your credit report for up to seven years from the initial date of delinquency. As a result, creditors won’t necessarily see that your financial history has been “wiped clean” overnight. Despite what you may hope, a bankruptcy filing will not mean an automatic increase in your credit score, if debt has dragged you down in the past. Your full credit history will be a factor in any creditor’s decision to offer you a new credit card, a line of credit, or a car loan. A public record of bankruptcy, even one that is fully discharged, can catch the eye if you’re applying to lease an apartment or even putting in a job application, both of which often require credit reports as part of a background check. Keep in mind that bankruptcy will not release you from all debt obligations. Student loans, back taxes and alimony/child support, which cannot be discharged in bankruptcy, will continue to be a consideration in your credit report. But, there is hope. Anything you do in your post-bankruptcy future will help rebuild your credit score. Over time, bankruptcy records shown on your credit report will become less and less important. Many creditors are willing to give post-bankruptcy consumers a second chance with a new credit card (often a secured card), though chances are you’ll be paying a higher interest rate or be given less access to credit until your credit score increases. Don’t wait until it’s too late. Seek out professional credit repair before the lasting effects of bankruptcy loom over your finances. You can also carry on the conversation on our social media platforms. Like and follow us on Facebook and leave us a tweet on Twitter. This entry was posted in Negative Items and tagged Bankruptcy, credit report, debt. Bookmark the permalink.